TIMESJATIM, DENPASAR – The Ministry of Communication and Information of the Republic of Indonesia (Kemenkominfo) held an Online Shopping and Selling Socialization Forum: Cheap, Fast, and Safe in the hall of Mahasaraswati University, Denpasar, Wednesday (05/12/2018). On this occasion the Ministry of Communication and Information held training and facilitate and online sales simulations to invite MSME entrepreneurs (Micro, Small and Medium Enterprises) or UMKM to participate in building and driving ecommerce businesses in Indonesia. This is because Indonesia considered as the great potential place for developing online transactions. 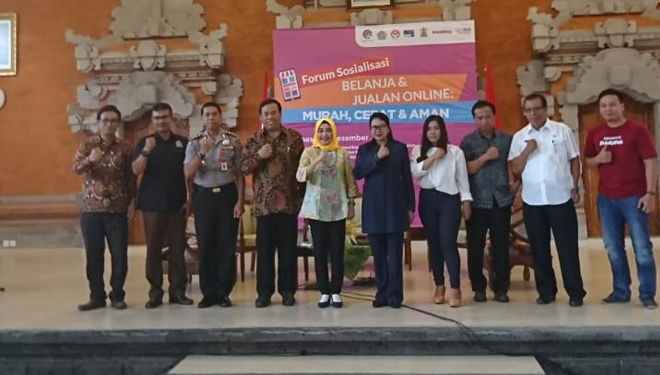 Kemenkominfo cooperates with the Denpasar city government, LPP RRI Denpasar, and the marketplace of Bukalapak to educate MSME regarding the use of e-commerce, it is expected that MSME players can be increasingly stimulated to maximize e-commerce in developing their businesses. Moreover, Indonesia is considered to have enormous potential to become the largest digital economy country in Asia, regarding that currently there are penetration of internet users more than 132 million, e-comerce users who fulfill various needs of the community today. Director General of Information and Public Communication of the Ministry of Communication and Information, Rosarita Niken Widiastuti, in her speech said that since the end of 2014, the Ministries and Associations together with the Institutions under the coordination of the Coordinating Ministry of Economic Affairs worked together to prepare a good ecosystem to develop the local e-Commerce industry. The result is the givernment regulation No. 74 about the Indonesia e-Commerce Roadmap which contains solution initiatives related to e-Commerce issues to support and encourage the growth potential of Indonesian e-commerce. The growth of e-commerce in Indonesia must be done together with related institutions to produce a comprehensive and synchronous policy. "The government also formulates the main principles of e-commerce development through affirmative action with the main points of local e-commerce businesses, especially beginner businesses players and MSMEs, they get decent and priority protection," Rosarita continued. 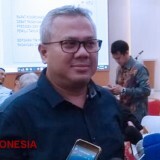 In his statement, Septriana said that online transactions through e-commerce portals are increasingly popular in the wider community, and this can be considered as positive development, because it is easier to connect current sellers and buyers. It is important to say so to MSMEs (UMKM) to understand the potential large market. "The initial steps have been exercised, but education on the use of e-commerce portals is important to continue to do," said Septriana. This economic development must continue to be stimulated, and the public must continue to be encouraged and supported to continue to make online transactions so that the industry can continue to grow rapidly. But it is important to remember, the community also needs to be protected by the knowledge of safe digital transactions, "she explained. 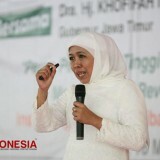 Septriana explained that through the event, she also wanted to do a socialization movement ‘Ayo UMKM Jualan Online’. 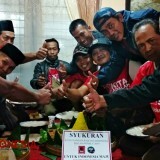 Currently from the Central Statistics Agency (BPS) data, the contribution of MSME to Indonesia's Gross Domestic Product (GDP) reaches 61.41%, with the number of MSMEs reaching almost 60 million units. However, only about 8% or as many as 3.79 million MSME players have used online platforms to market their products. "Though the consumer movement trend is really getting bigger in online transactions," she explained. The event was divided into two sessions, the first session was the presentation of the speakers in a panel discussion format about buying and selling transactions in e-commerce in general. Then the second session is an online selling workshop for MSME players, market traders or anyone interested in marketing their products online. Also present and give a speech from the Rector of Mahasaraswati University, Dr. Drs.I Made Sukamerta, M.PD and Head of RRI Denpasar Dr.Drs. I Made Sukamerta, M.PD. The Director General of Information and Public Communication of the Ministry of Communication and Information, Rosarita Niken Widiastuti, also gave a keynote speech at the event. There are also testimonials from several MSMEs who have successfully sold online. Therefore, to overcome the reluctance of MSME to participate in the development of Indonesian e-commerce, KEMENKOMINFO invited several related speakers to help to show the onboard process for MSME, the introduction of online sales registration and how to sell online. At present there is a large potential that must be explored in Indonesia, because the number of people who have access to the internet allows Indonesia to become the largest online transaction market in Asia. In 2020, e-commerce transactions in Indonesia are targeted to reach US $ 130 billion. This can be achieved, if MSME are also involved in building markets from the provider of goods. KEMENKOMINFO and all parties involved in this event believe that through the education and training provided, MSME can immediately take a role in the development of the e-commerce industry in Indonesia, and present a variety of items that are attractive to the growing market.